After standard treatments failed to stop or slow the progression of her cancer, the first mesothelioma patient treated with a new protocol has shown a highly favorable response. These early results are similar to the investigative protocol's success against several other very aggressive cancers. These are early results from one patient, so no conclusions can be drawn yet. Mesothelioma is so relentless and uniformly fatal, though, that being able to stop its growth and spread is very exciting. Most importantly, it's a major victory for this patient. It mirrors the success we're seeing for the great majority of our patients with other cancers, as well. The first mesothelioma patient is a woman in her late forties who was exposed to asbestos in childhood. When her cancer was diagnosed in 2008, it already had filled most of the chest space where her right lung had been. She received the approved treatments for the cancer. As is typical for mesothelioma, however, it continued to grow steadily. Realizing that the usual chemotherapy regimen is never able to stop this cancer, she visited NeoPlas Innovation's Nashville clinic and began the new outpatient treatment. Two months later, CT scans showed that the cancer had stabilized, and the largest of the tumors actually had regressed significantly in size. Improvement in her clinical condition correlated with the findings. NeoPlas Innovation Director of Research Dr. Stephen B. Cantrell commented, "These are early results from one patient, so no conclusions can be drawn yet. Mesothelioma is so relentless and uniformly fatal, though, that being able to stop its growth and spread is very exciting. Most importantly, it's a major victory for this patient. It mirrors the success we're seeing for the great majority of our patients with other cancers, as well." The protocol is offered for qualifying patients with colon cancer, renal (kidney) cancer, pancreatic cancer, melanoma and certain sarcomas. It can be considered for other patients on a case-by-case basis. The new treatment is simply an "off-label" combination of two existing medicines: lovastatin, typically used as a cholesterol lowering agent, and interferon. In 1998 Dr. Jeffrey Rubins and colleagues in Minneapolis demonstrated that lovastatin had a significant effect against mesothelioma cells in laboratory cultures. According to Dr. Cantrell, "The key to moving from the lab to success in humans has been taking a fresh look and finding the right medicines to combine. When we have administered a precisely timed regimen of low-dose interferon with lovastatin, the results have been surprising." NeoPlas Innovation patients often have seen the arrest of their cancers' growth and spread in as few as eight weeks of treatment. In many cases, patients have experienced active regression of tumors. Fatigue is the most notable side effect of NeoPlas Innovation's cancer treatment. Most patients never experience effects commonly affiliated with chemotherapy or radiation (nausea, vomiting, hair loss, bone marrow suppression or immune system suppression). An experienced physician prescribes and monitors the outpatient treatment. 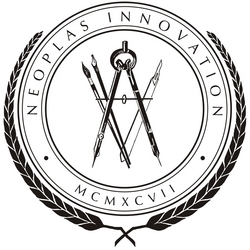 NeoPlas Innovation's web site, http://www.neoplas.org, provides complete information and an interactive screening tool for patients who are considering this treatment. The clinic can be reached at (615) 371-8100. For an interview with Dr. Cantrell, call 615-371-8100.